This is Western Route 66 Trips chapter from Lonely Planet’s Route 66 Road Trips guidebook. From historic Needles in the east to the sparkling waters of the mighty Pacific, search for your own American dream along California’s stretch of the Mother Road. Coverage includes: Needles, Goffs, Amboy, Newberry Springs & Daggett, Barstow, Elmer’s Place, Victorville, San Bernadino, Pasadena, Hollywood, Santa Monica, Los Angeles city guide, Western Route 66 travel guide. What is a Trips Regional guide? Want to explore a whole country or large region like California or Europe by car? This is the book for you. 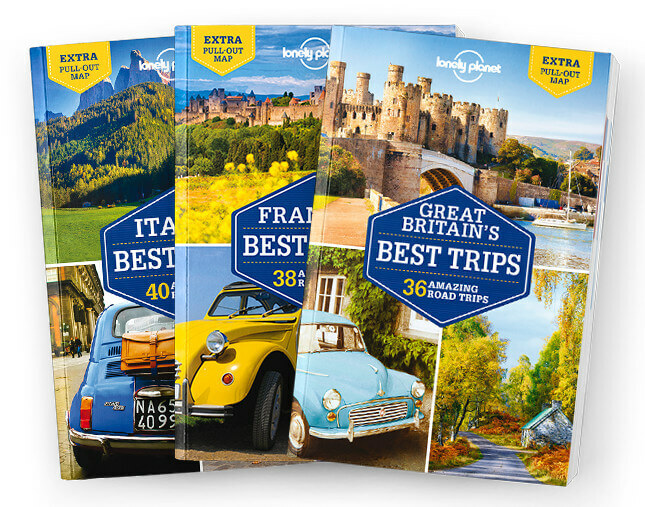 Jam-packed with lots of amazing road trips, from two-day escapes to week-long adventures, these guidebooks will ensure you get the most out of every place you drive through.